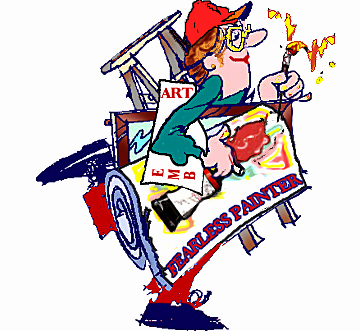 BE FEARLESS AND COME PAINT WITH ME! 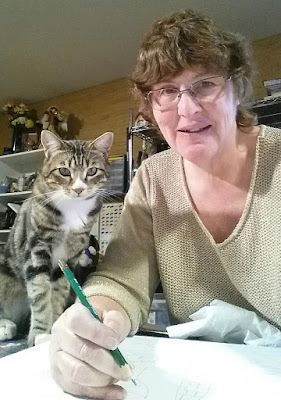 The Fearless Artist has big plans for this year and I would like to invite you to share in on my Fearless fun and adventures! Would you like to play a true & false game of discovery? 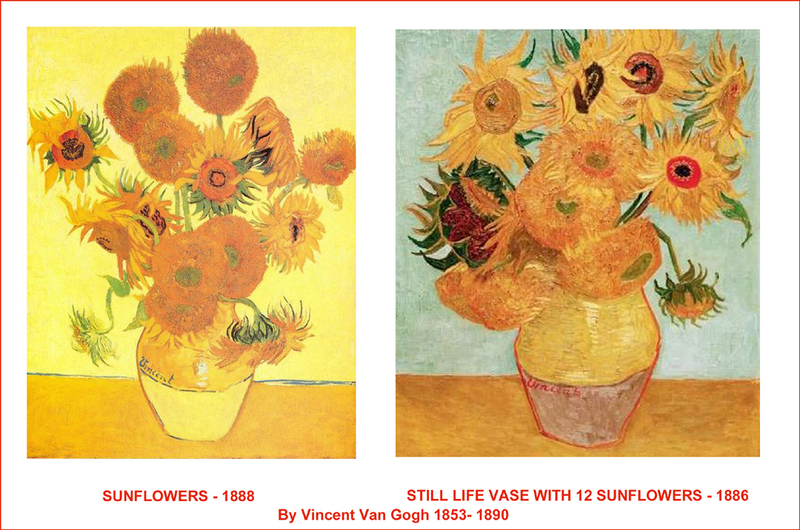 Did you know that there will be an opportunity for you to become a Fearless Painter in 2014? answer: True! 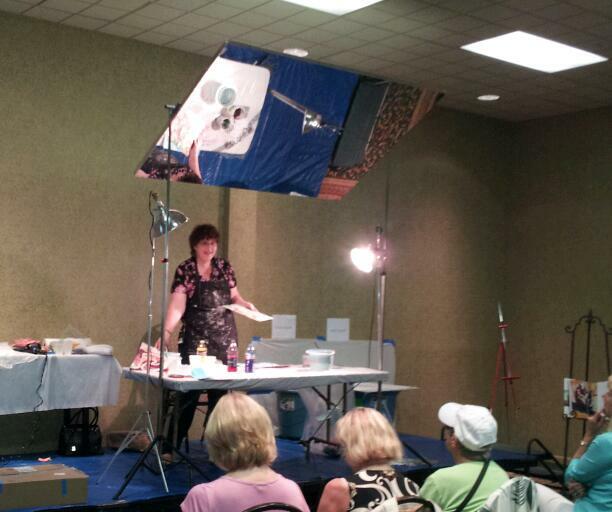 I have two workshops coming up in June of this year. 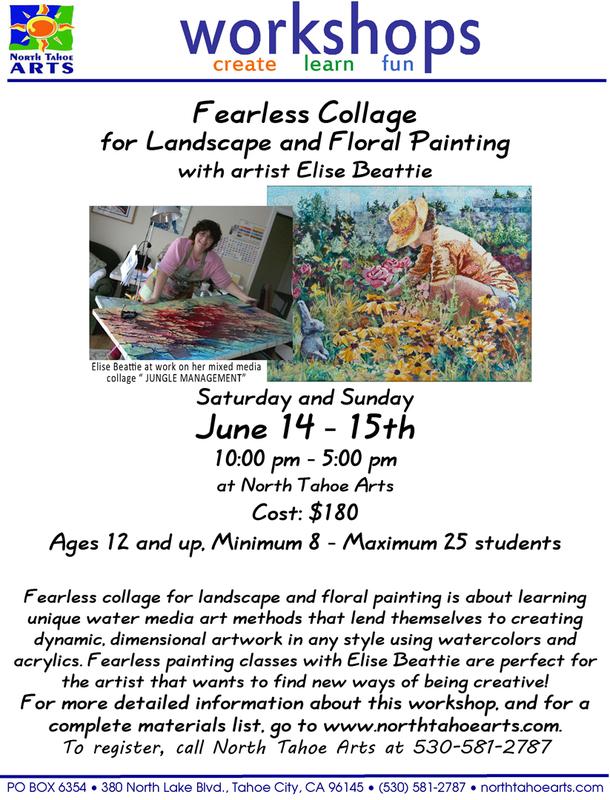 My first class will be at the North Tahoe Arts Center, California on Saturday June 14 & Sunday June 15. A second fearless learning opportunity will occur in Reno, Nevada. 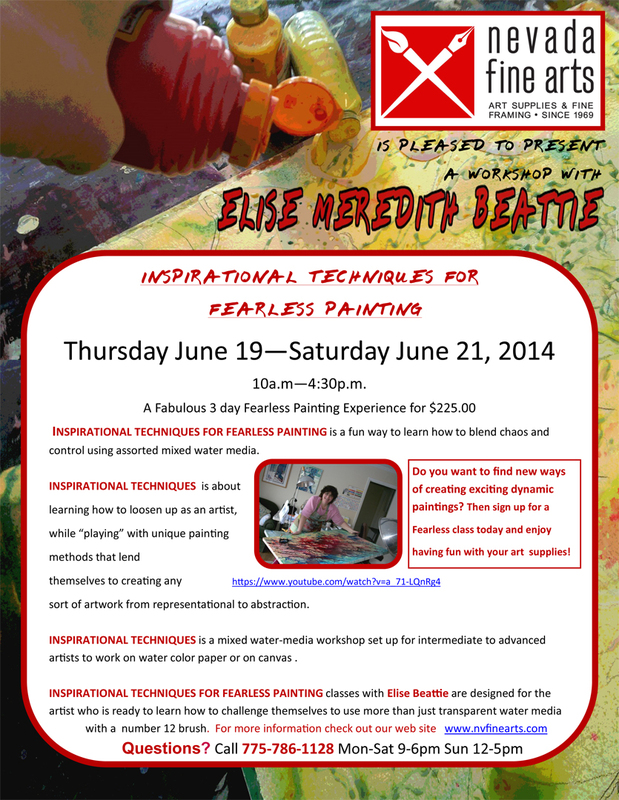 This " Inspirational Techniques for Fearless Painting" workshop is being sponsored by Nevada Fine Arts. In a future blog I will share a little about the fearless fun that students can have in my classes. Did you know that all Fearless Painting classes are a fun filled way to blend chaos and control using assorted mixed water media? All of my classes are designed to help artists learn how to loosen up while playing with unusual painting methods. Did you know that I will be having a solo exhibition of my Fearless Paintings and you are invited? "INSPIRATIONAL TECHNIQUES FROM A FEARLESS PAINTER"
This solo show will include approximately 25-30 paintings utilizing my poured water color, acrylics and collage mixed media techniques. The show is scheduled to run from May 27 - July 7, 2014. Please stay tuned for more information about this exhibit. Did you know that with the help of a friend saying "lights, camera and action" that I am now a world famous movie star? 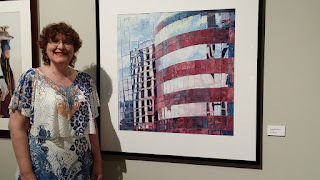 Thanks for visiting Elise Beattie's Artworks Blog.